10 Kettlebell Deadlifts @ 25-35lbs. It is important to practice this movement before building up to higher level lifts. In fact, even for advanced workouts, I often put this into the warm up to start firing the muscles in their proper movement pattern. You will see this type of functional addition to warm ups quite often. Set the kettlebell between your feet. Let your arms hang straight down in front of you from a standing position. Let your hips and knees bend simultaneously so that your arms move in a straight line down to reach the kettlebell. Your chest should not be too far forward to the ground, but up so your eyes can look forward toward the wall. 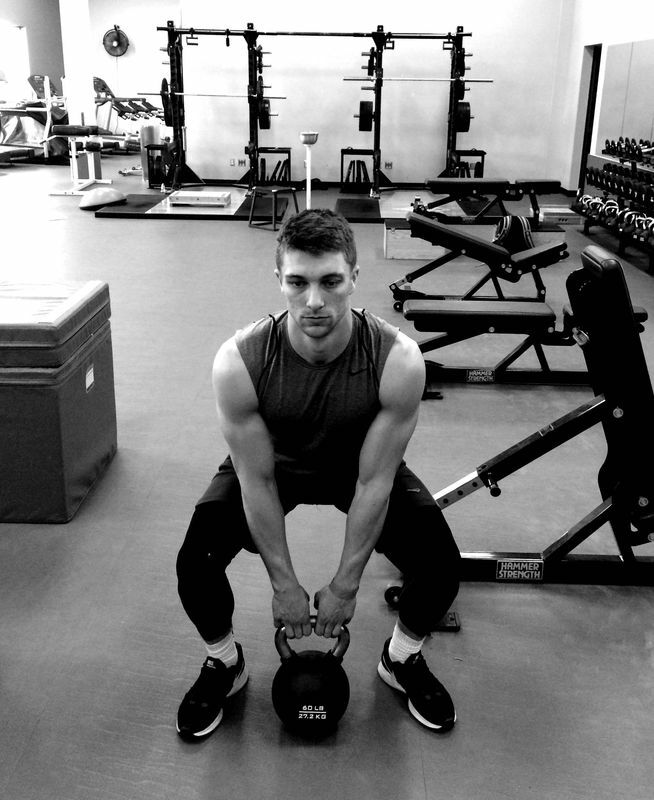 Engage your core and stand the kettlebell up, keeping it close to your body. Reverse steps 4 and 5 to set the kettlebell back down. Hollow Leg Lowers & The "Hollow Position"
The engagement we are looking for in the Kettlebell Deadlift can be found by practicing this movement. Lie on your back with your legs straight and feet raised straight towards the ceiling, you will feel the natural arch of your back go away as your low back presses to the ground. We want this maintained through the ENTIRE movement. Slowly start to lower your feet and feel your rectus abdominis and hip flexors fire up to control this movement. If you can, lower your feet until they are hovering above the ground; however, if you feel your lower back start to peel off the floor, tuck your knees to your chest and shoot your feet back up to the ceiling. Repeat this raising, lowering, and tucking action for the amount of reps allotted. Feet are at least hip width apart. Your weight is in your heels. Knees track outward and in one line (no caving in). Chest and head are high so your spine is in good alignment. When you get to the bottom of your squat, be sure you are able to stand it back up with integrity. Identical principles as the depth squat, but slightly more advanced as the weight acts as a counter balance instead of actually holding on to something to keep you from falling back. Try to get as low as you can, and if you need to put some sort of point of reference like a bench or medicine ball to reach back and tap with your bum, please do. Stand in front of a bar that is set up at chest level. Using your fingers to lightly grip the bar, drop as low as you can into a squat using the same principles as before. This is a great back and shoulder opener as well. Get as many as you can in 1 minute or until failure. 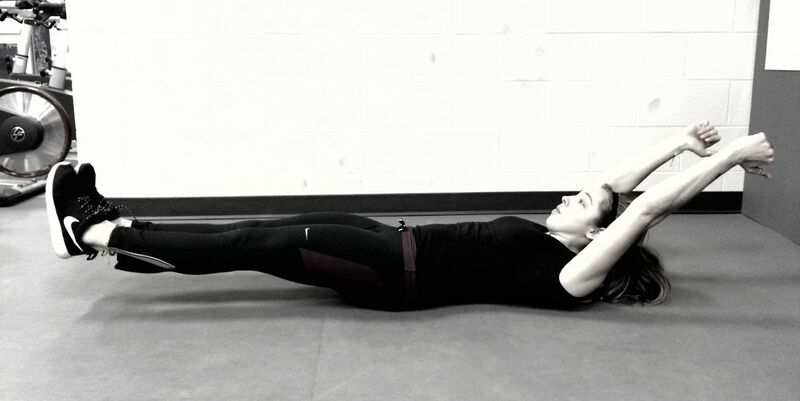 Maintain a strong plank position for as long as possible. 15 Goblet Squats @ 15lbs. 20 Russian Kettlebell Swings @ 15lbs. When it starts to get tough, don't forget to breathe. Oh, and try smiling, can't hurt right?! Hold each of the following for 0:20-0:30 seconds on each side.